The media coverage of The Barolo Wars, and indeed to Barolo in general, was–and still is–given almost exlusively to the same producers. Understandably they are the famous families who have shaped Barolo over the last few decades, and their wines fetch prices to reflect that fame. They are the Gajas and the Mascarellos, the Cerettos and Piras, the Rivettis, Altares, Rinaldis, Scavinos and Sandrones. But amidst the cacophony created by the big name winemakers — and every wine writer you can shake a stick at –are the rest of Barolo’s 500 plus producers, some who have emerged from the woodwork recently infusing young blood into the region, and others whose families have owned vineyards in Barolo for centuries and are now bottling their own wine rather than selling on their grapes. Their wines, generally more affordable than their famous brethren’s, are as varied as the hundreds of microclimates and soils that make up the seemingly endless hills of the Langhe, while still being unmistakably Barolo, that inimitable expression of the hauntingly beautiful nebbiolo grape which makes wine geeks everywhere go weak at the knees. 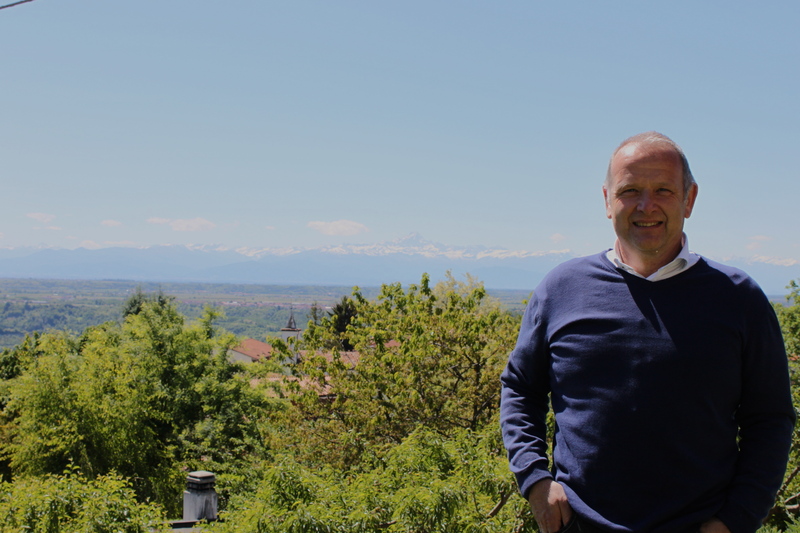 Walking the modernist and traditionalist path all at once is Paolo Manzone, whose gorgeous agriturismo Cascina Meriame sits beside vineyards of the same name. 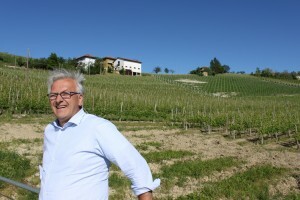 “Next door are Gaja’s vineyards,” says Manzone gesturing towards the natural amphitheater of Serralunga d’Alba vines. 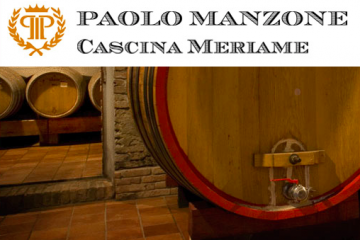 Grapes from the Meriame vineyards make some of Manzone’s top wines, and with less eye-watering price tags than his famous neighbors. While his entry level reds are more “modern” in style with ripe berries and oaky spice, his Barolo Meriame walks a well-constructed tightrope between styles. In the winery he uses medium fermentation times (18-20 days) and a blend of 350 liter tonneaux and botti, and nothing added but a bit of sulfur. The 2006 is a particular beauty, with that perfect balance of acidity, silky tannins, and endless layers of Christmas spices and drying red fruits. 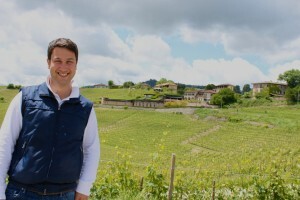 In La Morra, northwest of Barolo, young winemaker Alberto Voerzio also combines modern and traditional techniques with extremely low yields from his organically farmed vineyards, an influence of his famous winemaking cousin Roberto Voerzio. 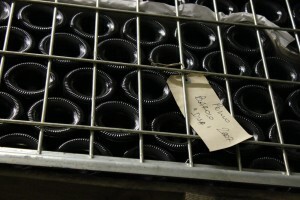 In the winery, he ferments for 25 days, strictly controls temperature, — and ages exclusively in barrique. In most cases, wines will benefit from an hour or two in a decanter. Pair with earthy rustic Piedmontese ingredients like venison, mushrooms, and truffles. Or sip on its own and be grateful for life and nebbiolo. 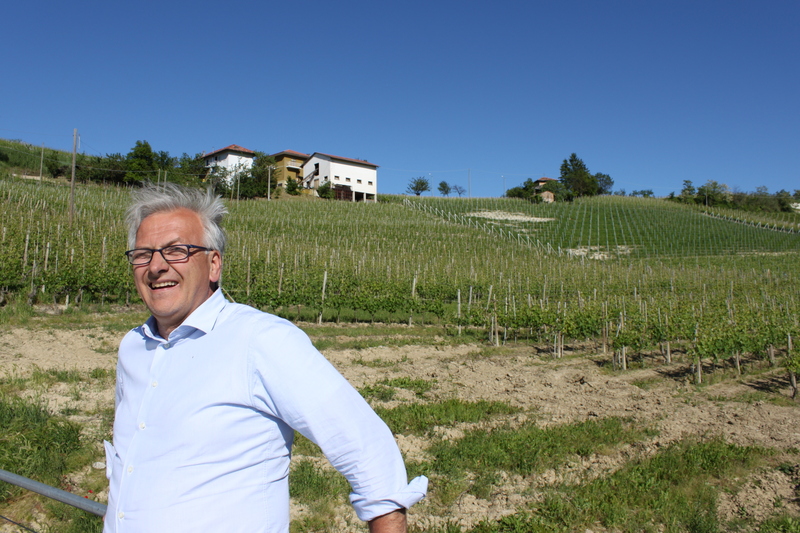 Yes–there are many lesser-known Barolo producers whose wines are excellent. Unfortunately, being not as well known means the wines could be really difficult or impossible to find in the US. And then there are so many non-Barolo (& non-Barbaresco) Nebbiolo gems in Piemonte! Ghemme, Gattinara, Lessona, Bramaterra…the list goes on. Recently I recent spent 10 (glorious!) days in Piemonte. My original goal was to explore more fully the “modernist-traditionalist war;” I discovered neither wars nor scars of wars. What I found (previous stays in Toscana should have been a lesson) was the extreme localism that marked the entire region. By “dumb luck,” we were in the town of Barolo for the roll out of its current release. 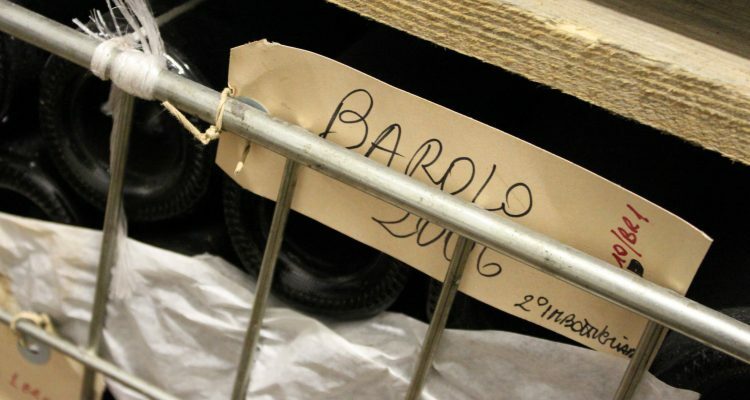 Its regional enoteca (one in every town), had 108 Baroli!!! I asked about one which wasn’t there and the host pointed up the hill to La Morra and said: “Oh, you have to go there to taste that Barolo.” Vineyards that were less than 1 kilometer from where we were standing may as well have been in France. And yes indeed, all 108 (OK, at least the 78 we tasted) were clearly “Barolo” but just as clearly distinct from each other. Looking forward to the next articles! Nicely done.